The look of a living room or dining room can affect the impression that people may get of your home, and the furniture and area rugs can be a major element of your home’s appearance. However, consistent use causes furniture upholstery and area rugs to gather dirt and debris that can affect its appearance and lead to deterioration of the fabric. It is important to maintain your furniture upholstery and area rugs because allowing them to gather dirt and debris will shorten the lifespan of the fabric, and furniture and area rugs are too big of an investment to replace often. 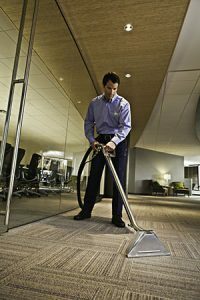 ServiceMaster by Rice provides upholstery cleaning and area rug cleaning services in Des Moines, IA. We can effectively clean and restore all types of upholstery fabric and area rugs using proven cleaning methods. Furniture in commercial and residential settings usually experiences daily use which causes dirt and debris to become embedded in the upholstery fabric. The buildup of this debris causes discoloration that can diminish the appearance of the upholstery, and solid debris such as dirt can be abrasive against the surface with direct contact which contributes to deterioration. At ServiceMaster by Rice, we have the training and equipment to clean and restore any type of upholstery fabric. Our truck-mounted equipment thoroughly removes embedded dirt and debris from the upholstery with the steam cleaning method and we offer green cleaning products that are safer for your kids and pets. Advanced Cleaning Methods: Our state-of-the-art cleaning equipment and green cleaning agents are effective for cleaning and restoring all types of upholstery fabric. Professional Technicians: Our technicians are trained, experienced, and IICRC certified to provide safe and effective cleaning methods. Green Cleaning: We offer the option of green cleaning products which are as effective as traditional cleaning products and much safer for kids, pets, and the environment. Fabric and Stain Protection: We can treat your furniture with our fabric stain protection to prevent stains to the upholstery. Quick Drying: The drying time for our cleaning method is very short so you can use your furniture within a day. Area rugs experience foot traffic on a daily basis and as a result, dirt and debris builds up deep within the fibers which could cause wear and tear as well as deterioration. Rugs that are made out of delicate materials are even more vulnerable to deterioration from embedded debris and require specialized cleaning services. The technicians of ServiceMaster by Rice can effectively clean and restore all types of area rugs with our professional area rug cleaning services. We use the steam cleaning method to remove dirt and stains from your area rugs and if a rug requires specialized care, our technicians will recognize this and use the right cleaning methods. We take note of your concerns as we inspect the rug and take a photo to document its condition. We will move your rug into our secured cleaning area. We use the steam cleaning method to remove dirt and debris from the rug and dry it in a climate controlled area. We inspect your rug after cleaning and put it in secure storage. We will notify you when your rug is ready. You have the option of taking your rug to our facility or arranging for one of our technicians to come pick up your rug. It is beneficial to have your area rug cleaned at our facility where it can be thoroughly cleaned and stored in a climate controlled area. When the area rugs and furniture upholstery become dirty, it can have a drastic effect on the overall appearance of your home as well as the lifespan and look of the rug or furniture. Make sure you contact ServiceMaster by Rice for upholstery and area rug cleaning in Des Moines, IA because our cleaning services can save you the money and trouble of replacing your furniture and area rugs. You can call us anytime at (515) 212-2511 to learn more about our upholstery and area rug cleaning services.